All decked out! 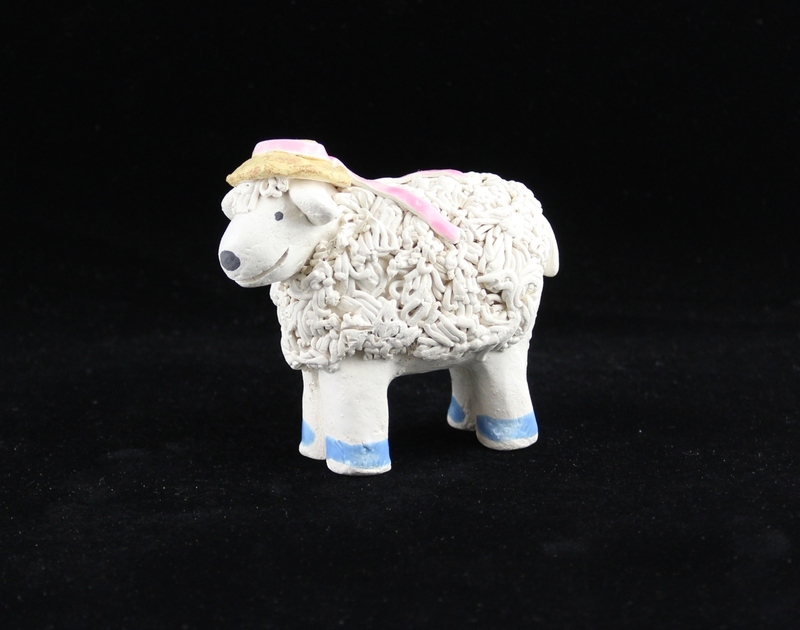 This glazed low-fire clay sheep, 2 1/4" h x 3" w, is so cute in her bonnet with blue ribbons trailing behind. Since this is totally handmade, there will be some variation. Free shipping and gift wrapping if desired.